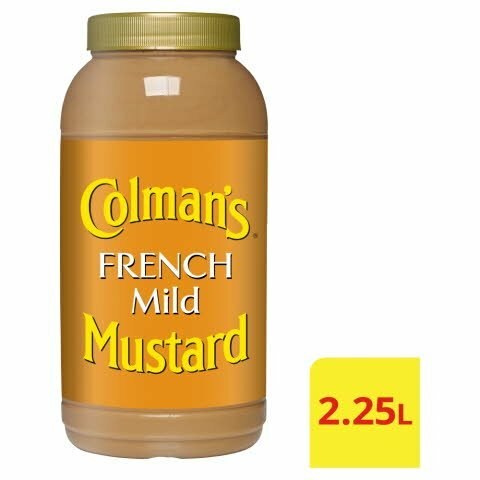 Mild French Mustard READY TO USE MUSTARDS COLMAN'S Mustard - Excellent as an ingredient in sauces, salad dressings and marinades. - Offers quality assurance and familiarity. Spirit vinegar, water, MUSTARD seed (19%), salt, colour (ammonia caramel), sugar, white MUSTARD husk, natural spice flavouring, tarragon, thickener (xanthan gum), turmeric. May contain gluten.